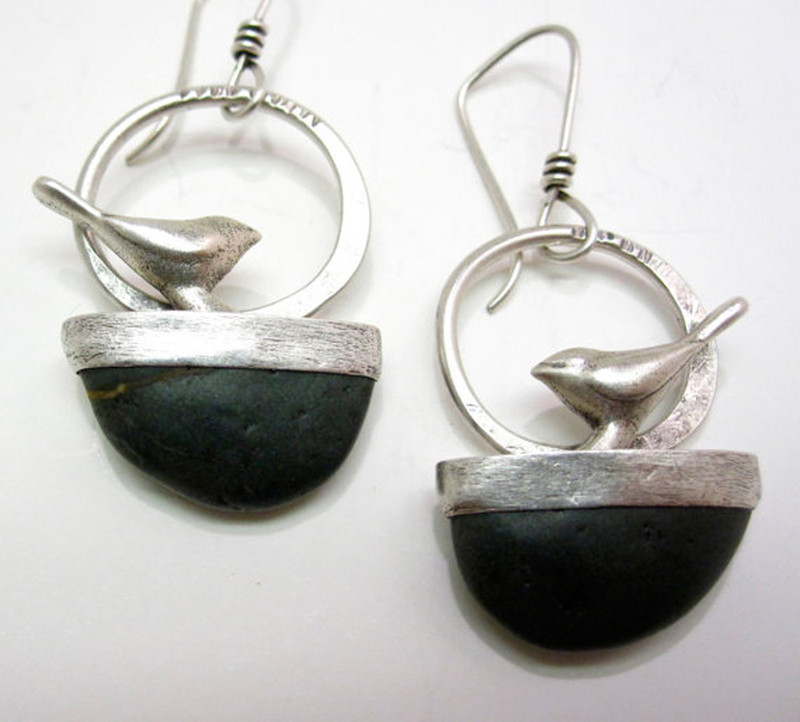 Rebecca Bashara’s jewelry springs from the melding of a naturalist and a natural born artist/metalsmith. Her original designs reverberate with the peace, freedom and spontaneity of a walk on the beach, a hike along a river trail, a climb up a mountain peak, or a meditation in the deepest of woods. Rebecca is a true rock hound. 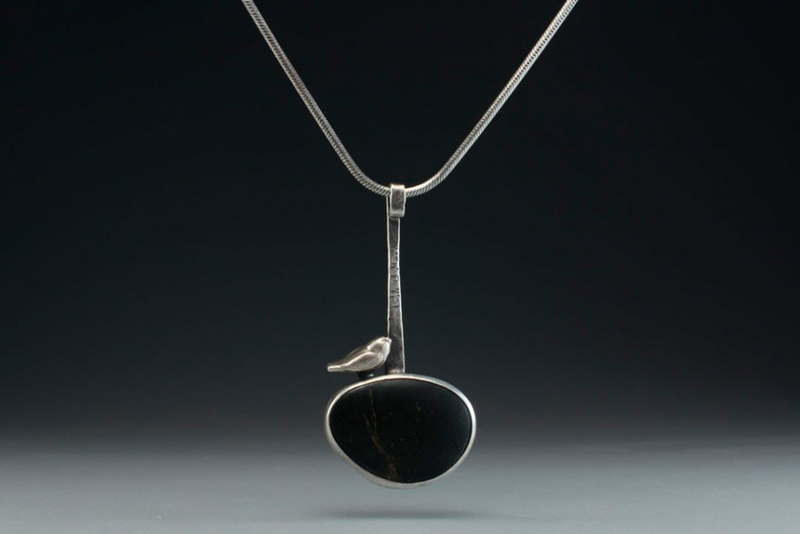 Her newest jewelry contains stones from the Puget Sound and the Columbia River Gorge. As a child in Iowa, Rebecca could be found meandering along the river or the railroad tracks looking for stones, pieces of glass, or natural objects. She was fascinated by the miniature and spent hours looking at grasshoppers and other tiny objects of nature. This interest led her into the art of jewelry design and metalsmithing. Rebecca lives and works in rural Klickatat, Washington, surrounded by the wild beauty of the Columbia River Gorge. The fact that her creativity springs from her everyday life is apparent if you visit her. Her house is her studio: smooth shimmering stones lie drying in her bathtub and sink; her kitchen table is a rotating mosaic of shapes, colors and textures; stones and metal gather in heaps and mounds stirring for Rebecca to cut and work them into artistic pieces of adornment.